Oak Ridge Tennessee Here is a link to a gallery of historic photographs taken at Oak Ridge during the time of the second world war. I thought it was relevant to our class because Oak Ridge was a major contributor to the Manhattan Project. It is interesting to see in many of the pictures how seriously secrecy was taken. There are also good pictures of things we have covered in class such as a calutron. more diverse with each modification. Geological changes allowed for new organisms to form whereas mutations and adaptations allowed for these organisms to become more diverse and even produce completely new life forms all together. Some say it is absurd to believe that life could exist on another planet, but is it really that outrageous when our very own Earth transformed from an uninhabitable sauna to a planet where life is abundant? Carl Sagan believed that life was possible on another planet. His novel, Contact, explores the possibility of extraterrestrial life on the star, Vega. Sagan’s use of the ideas and concepts of radio astronomy, extraterrestrial life, and wormholes in this novel impacted the world in tremendous ways. 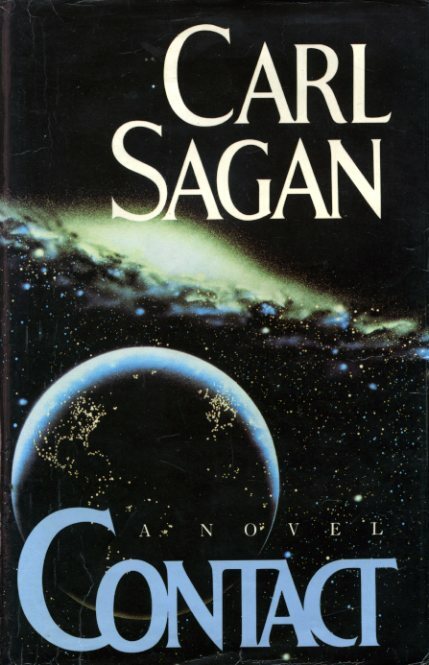 Sagan not only wrote this book and many others over these interesting ideas, but also devoted his life to researching and contributing to the study of space leading to many of the facts we know about modern space. On November 9, 1934, in Brooklyn, New York, a New York garment worker gave birth to a man that would make great contributions to the world of astronomy. Carl Sagan lived in a working-class Jewish neighborhood and attended public schools in New York and New Jersey. 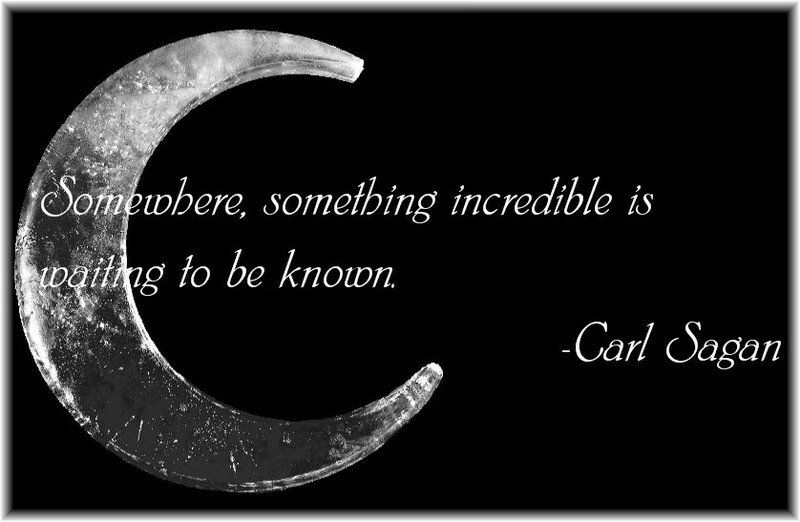 Carl Sagan became fascinated with science and the field of astronomy at a very young age. His interest was sparked when he attended the 1939 New York World’s Fair with his parents at the age of four. Although his parents were nowhere near wealthy, they continuously encouraged Sagan to pursue his interests in the sciences. They would buy him different books and chemistry sets in order to keep his interest alive. In 1951, Sagan graduated from Rahway High School at the age of only 16 and decided to attend the University of Chicago. During his time at the University of Chicago Sagan first received an A.B. degree with honors followed by a bachelor’s degree in Physics and then a master’s degree in Physics. Sagan never stopped pursuing his interest in science and space and went on to obtain a Ph.D. in astronomy and astrophysics. In 1968, after being denied tenure at Harvard College as an assistant professor, Sagan accepted the position, Director of the Laboratory for Planetary Studies, and was later promoted to David Duncan Professor of Astronomy and Space Sciences at Cornell University. He maintained this position until his death in 1996. Sagan was known for his drive to succeed and his desire to share the wonders of the sciences with others. His lifetime goals included, understanding the universe and being able to relay the information in an intriguing manner to the world. Due to his unwavering dedication to his life’s work, his first two wives were not pleased with his inability to devote time to their marriages or his children. Research was Sagan’s life. He devoted almost all of his time to his research. His hard work and dedication allowed him to have great accomplishments and in return won him respect from his academic peers and the scientific community. Sagan was able to help in defining the disciplines of planetary science and exobiology. NASA also benefitted from his work by using his help to chart exploration of the solar system by spacecraft. The planet Venus was of particular interest to Sagan in his early years of research. The atmosphere of Venus is mainly where he chose to focus his studies. He worked to explain and define the modern understanding of Venus’s atmosphere. Mars was another plant that caught the eye of Sagan. He believed that the seasonal changes occurring on the surface of Mars were due to wind-blown dust. The Mariner 9 and Viking spacecraft verified his belief later on. Sagan was a key component to NASA’s success and technological advances. Sagan worked to accomplish the mission of the Viking spacecraft, which was to land this spacecraft on the surface of Mars. In 1976, the spacecraft Voyager 1 and Voyager 2 were sent on a particularly interesting mission. The mission was to transport a symbolic interstellar message beyond the Milky Way. In order to accomplish this, NASA asked for the help of Carl Sagan. Sagan’s research and help to advance the world of science were not the only contributions he made during his lifetime. Sagan was also an avid writer and used his books to show everyone his vision of the world and science. His first book, The Cosmic Connection, was published in 1973, quickly becoming a bestseller. In the second book published by Sagan, he talks about something that intrigues many of those in the world of science, the brain and human intelligence. This book, The Dragons of Eden, won the Pulitzer Prize for general nonfiction in 1978. During the year of 1981, Sagan married his third wife, Ann Druyan, whom coauthored the only book of Sagan’s that was transformed into a film. 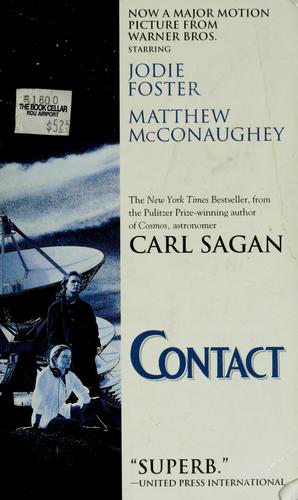 The novel, Contact, was published in 1985 but was not made into a motion picture until August of 1997, one year after Sagan’s death. There is no doubt that Carl Sagan was a man that will forever be remembered in history. A man capable of his brilliance, skepticism, and pure desire for knowledge has not surfaced since his passing in December of 1996. Sagan battled an extremely rare disease known as myelodysplasia for two years before he died of pneumonia. The amount of passion Sagan has, has been sought after for ages. He wanted others to feel the same excitement about space as he did. He was well known for being “the single most-recognized science missionary bringing the ideas, excitement, and adventure of space exploration to the general public” (Terzian and Bilson, 1997). Hard work, dedication, and pure passion were at the core of Carl Sagan’s life and his research and he will forever be “an icon for modern science” (Terzian and Bilson, 1997) in the eyes of Americans. The novel, Contact, by Carl Sagan is focused around the central character Eleanor “Ellie” Arroway. The book begins by taking the reader back to some early childhood experiences of Ellie. She was very curious and not afraid to ask questions, some might even call her a skeptic. Her father passed away while she was young and her mother remarried a man named John Staughton, who Ellie does not get along with. Ellie grows up and attends Harvard University where she studies physics and mathematics. It is here that she gains a growing interest in astronomy. After graduating, Ellie becomes the apprentice of Dr. David Drumlin, a well know radio astronomer. Continuing to follow her passion, Ellie receives her doctorate and begins work on the “Argus Project” located in New Mexico. At this site, radio astronomers use over 100 radio telescopes to monitor outer space for any signs or radio frequencies that may signal the chance of extraterrestrial life. Ellie works on the Argus Project for a great amount of time, until one day, she believes she has received a transmission from another civilization. While monitoring the star system Vega, 26 light years away, she records a series of prime numbers being transmitted to earth. After consulting other scientists as well as public and government officials, another message is received. 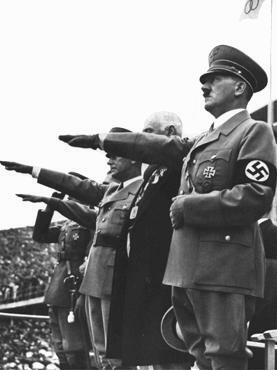 The second form of contact is a playback of the first time radio waves were transmitted from Earth into outer space, which was Adolf Hitler commencing the opening of the 1936 summer Olympics in Berlin, Germany. This message was perceived to be a sign that extraterrestrials had received our radio transmissions and were responding to us. However, after closer analysis, there was an encrypted message found in the transmission. After finding the code to decipher the encryption, a blue print that reveals the instructions to building some sort of machine. It was not entirely known what the machine was supposed to be used for. After long debates and much controversy, the United States and Russia each began building the machine. Due to technical difficulties the Russians are unable to complete the machine leaving the United States to finish out the project. Originally, Ellie is not chosen to be a passenger in the machine. As the United States prepares to test their machine, mechanical error arises and destroys the machine, killing the previously selected 5 passengers along with it. Ellie, with the help of her billionaire friend S. R. Hadden, is chosen to be one of the passengers on a third machine that was secretly built near Hokkaido Japan by Hadden. The machine is a success and Ellie along with her four crewmates traveled through what they think is a black hole, but is actually a wormhole. The only difference lays in the fact that black holes have no end, whereas wormholes have a beginning and an end. Along the way, they view many other star systems and arrive at what they believe to be the star system Vega, where the original message originated. They arrive on a sandy beach near an ocean with an atmosphere that appears to be similar to that of Earth’s. The crewmembers eventually get separated on the beach and Ellie is greeted by what she believes to be her deceased father. It is later revealed to Ellie that this form of extraterrestrial life took on the appearance of her father in order to keep from frightening her. It is explained to Ellie that it was a long lost species that created the wormholes for traveling through space. Other crewmembers have similar experiences and are met by past family members. Ellie, who is a fierce opponent of religion throughout the book, eventually comes to accept the possibility that there might be a supreme being or creator of the universe. Upon returning to Earth, Ellie and her colleagues believe that they have video evidence of their travels. However, somehow the video has been erased and what seemed like many long hours of travel was really no time on Earth. After learning that Hadden has died and there is no evidence to support the travelers, government officials accuse them of conspiracy. After finally returning to her normal life, Ellie uses information given to her while on her mission to fuel her new research desire surrounding π. The novel ends by describing Ellie’s encounter with John Staughton after the death of her mother. Her stepfather shows up with a note and as she opens it, she realizes her mother was the author of the note. In the note, her mother confesses that the man she believed to be her biological father was not her dad. Ellie’s biological father was really John Staughton, the man Ellie had despised since he married her mother. In the novel, Contact, Carl Sagan describes an astonishing and new idea when Elanor travels to Vega by means of a wormhole. 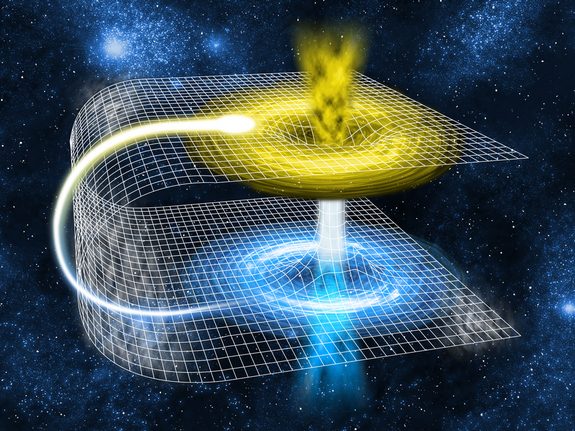 Wormholes are considered to bend space and time allowing the connection of two distant regions in the universe. While wormholes or Einstein-Rosen bridges are still only theoretical, they provide the world with something to look forward to in the future. Karl Schwarzschild is known for coming up with the concept that a point mass curves spacetime around it. This was his idea of general relativity. It contains two singularities, where “mathematical quantities become infinite” (Lindley, 2005). Albert Einstein and his associate, Nathan Rosen, were not fond of these singularities and were determined to get rid of them. Click here for a simple explanation of Einstein’s Theory of General Relativity. In 1935, the two scientists came up with a solution that eliminated the Schwarzschild singularities. Nevertheless, this posed a new solution. Jim Al-Khalili discusses the discoveries of Einstein and Rosen in his book Black Holes, Wormholes and Time Machines, Second Edition. Al-Khalili writes, “They showed that the singularity became a bridge connecting our universe with… a parallel universe” (Al-Khalili, 2012). Sadly, Einstein did not believe that such a thing could actually exist and wanted only to explore other alternatives to Schwarzschild’s equation. There have been many works of literature that use the idea of connecting two different worlds. Carl Sagan is one of the many authors that use the Einstein-Rosen bridge to break spacetime. Tragically, many works of literature wrongfully convey the travel to parallel universes and time travel. Even if we some day discover a real wormhole, there will be no way to practically use it as a means of transportation to a different universe. The thought of life on another planet has become an extremely well known and controversial topic over the decades. Religious beliefs contradict the idea of extraterrestrial life and the idea that life could exist on another planet. However, this doesn’t stop some from searching for these forms of life elsewhere in the universe. Sagan was one of these men that believed and worked to find these life forms. His novel, Contact, displays his passion to search, find, and contact other life in the universe. Sagan worked closely with other scientists who also believed the planet we call home was not the only plant forms of life called home which greatly influenced his writing of this novel. The search for extraterrestrial life was not popular until around the year 1960 when three scientists; Frank Drank, Giuseppe Cocconi, and Philip Morrison began publicizing the search for life. NASA was even a contributor to research during the early years of SETI, the Search for ExtraTerrestrial Intelligence. Eventually setting up an entire program dedicated to the cause. There are thousands of answers being asked by scientists and skeptics alike, but very few answers are being received. Frank Drake worked with a few other scientists in the late 60s and early 70s, including Carl Sagan, in order to find a formula in an attempt to determine the number of planets that harbor the potential for life. This equation is now known as the Drake equation and has found that there are over a billion planets in the universe with this potential. Is it really so outrageous to believe that biology could apply to other places in the universe as well? In the book Conversations with Carl Sagan, Sagan is recorded saying, “I believe that the search for life is of such extreme importance to science, philosophy, and to our ideas about ourselves that every time we go to a new place, we have to ask ourselves seriously about whether there’s life there” (Meredith, 1979). Although this idea is shared by many in the search for extraterrestrial life, research has yet to provide us with any relevant evidence proving the existence of life on other planets. There is no question that Carl Sagan’s book, Contact, was influenced by space exploration and the technological breakthroughs that were being made during the time in which he was writing this novel. Sagan used radio astronomy in his early career to make one of his most notable discoveries. Using the plant Venus’s radio emissions, Sagan was able to find the cause of these radio emissions was due to the extreme conditions of the planet’s atmosphere. 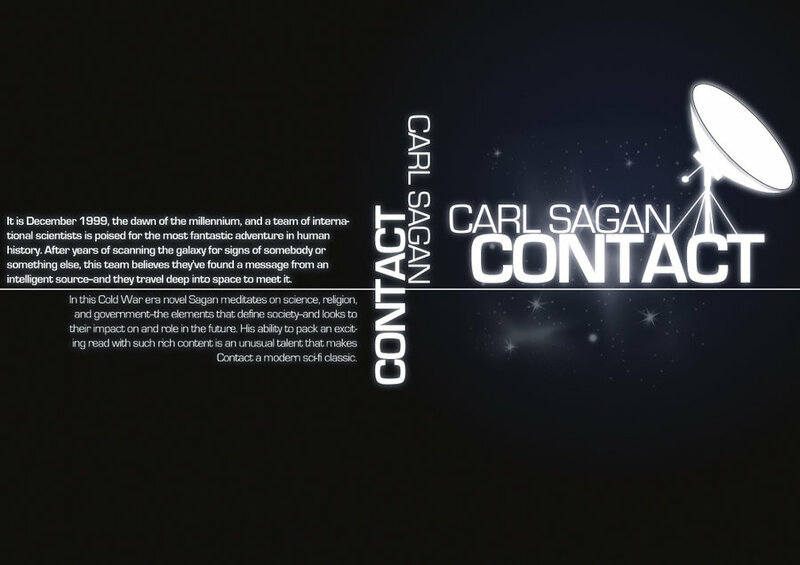 Sagan also writes about the use of the radio telescope in order to make contact with extraterrestrial life in his book, Contact. However, none of this would have been possible without the discovery and the main contributors to the field of radio astronomy. Before the early 1930s, not much was known about radio waves. The only studies or research performed was in the 1890s when scientist tried to detect radio waves from the Sun. The results were inconclusive due to primitive equipment. From then on radio waves were thought to only exist on Earth or were undetectable in the solar system. In 1932, a man named Karl Janksy proposed an idea that was thought to be ridiculous at the time by the rest of the world. While working as a radio engineer assigned to detect the source of radio static or noise that would block wave transmission for the Bell Telephone Laboratories Janksy discovered an interesting cause for the communication static. He explained that this static was caused by waves that were being emitted beyond the solar system, more commonly known as extraterrestrial radio waves. Most astronomers of the time paid no attention to Janksy’s discovery. Nevertheless, one man, Grote Reber, believed in Janksy’s work. 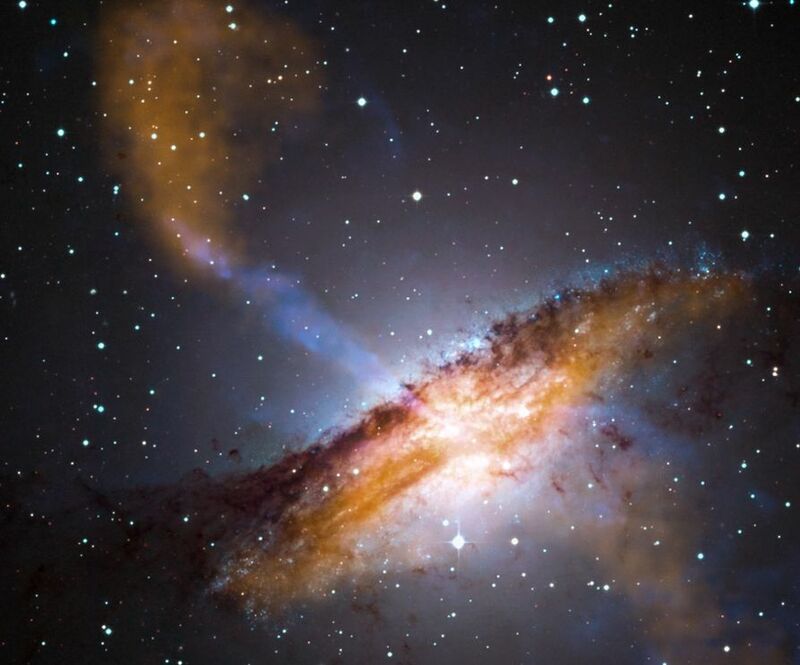 Lisa Yount’s Modern Astronomy: Expanding the Universe recalls Reber’s account of the findings as, “a fundamental and very important discovery” (Yount, 2006). The year of 1937 was eventful for Reber. With help from friends and family Reber was able to manufacture the first radio telescope in his backyard. Weighing approximately two tons with a parabola shaped iron mirror measuring nine meters in diameter, the telescope was capable of transforming the electric signals into electric signals. The electric signals produced were then recorded on paper. Reber was able to confirm the radiation from the Milky Way that Janksy had first discovered. After committing his work to radio waves and radio telescopes, Reber produced the first radio maps of the sky in the early 1940s and found the center of the Milky Way was the source of some of the strongest signals. In 1944 Reber finally published a complete radio map of the sky after working for three years in hopes of worldwide recognition. Sadly, the world’s engagement in World War II masked his hopes of obtaining the world’s recognition. Luckily, one of his articles caught the eye of Jan Oort, the director of the Netherlands’ Leiden Observatory. Oort believed that the fixed lines of the electromagnetic spectrum created by specific wavelengths of radio waves could be moved from their present position by the Doppler effect. This would allow astronomers to “measure the distance and movement of objects that did not give off light such as gas clouds themselves” (Yount, 2006). One of Oort’s students predicted that, “atoms of hydrogen… would give off radio waves 21 centimeters (about 8 in.) long” (Yount, 2006). 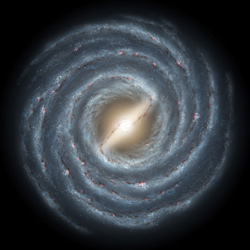 After this prediction was proved to be correct in 1951, these hydrogen emissions were used to prove that the Milky Way galaxy was indeed a spiral like shape. Contrary to popular belief, radio telescopes do not actually carry sound, but instead radio waves are processed and have the possibility of being converted into images on a computer or TV screen. Without the brilliant and courageous scientists, our ideas of modern space and time would be greatly altered. 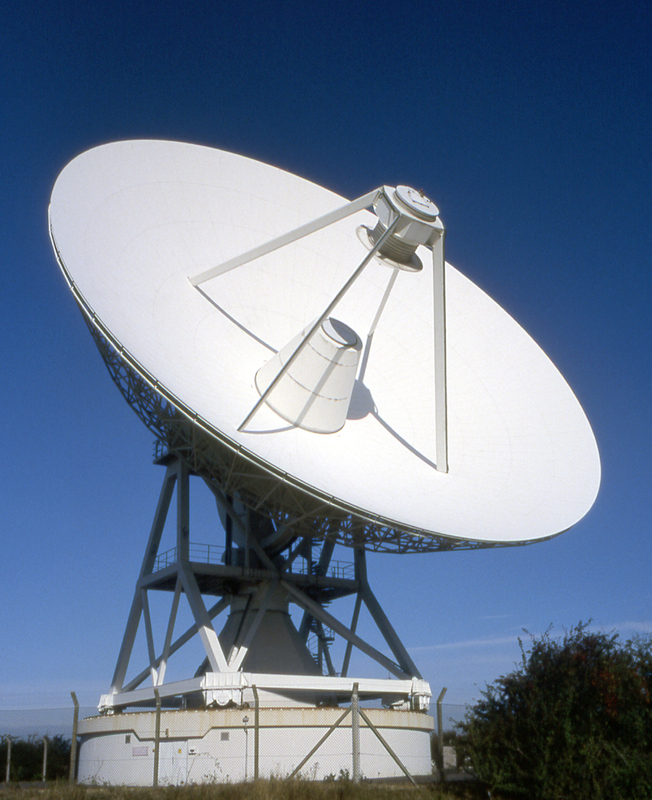 The use of radio astronomy has led to amazing discoveries in the past few decades. 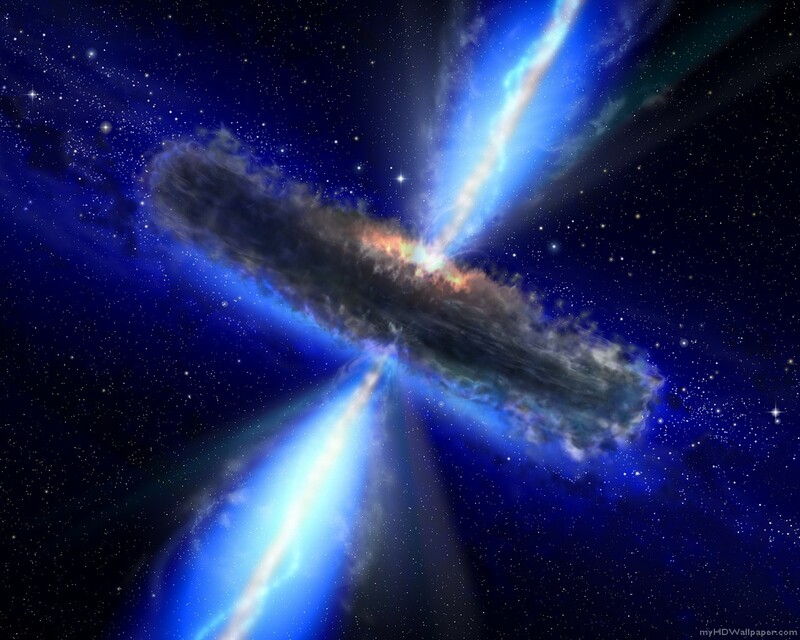 Pulsars, quasars, and many events that occur in space are just a few of these discoveries. The study of space is a very difficult yet intriguing field. The beauty of this unknown is slowly catching the eyes of many astronomers like Carl Sagan. Sagan worked diligently in an attempt to show the world the marvels of the universe. This is especially evident in his writings. He not only wrote about the things discussed in this novel, but also spent his life researching them. The book, Contact, is believed to give an insight into some of Sagan’s personal ideas about various realms of space and science. A book review published by Jeff Clark in 1985 reads, “the ideas are stimulating, and Contact makes for entertaining reading” (Clark, 1985). This was always a goal of Sagan, to inform the world of the entertaining and awe inspiring aspects that our universe has to offer. The sciences and scientists that contributed to the ideas of contained in the book deal with whether or not further research in some fields like extraterrestrial life should be continued. Carl Sagan was a brilliant scientist, idealist, and author that forever altered the world of astronomy and other aspects of science through his devotion to research and his works of literature. Al-Khalili, Jim. 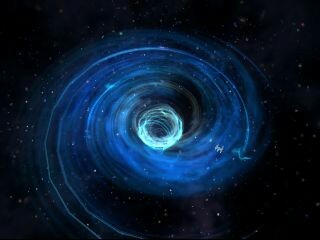 “Wormholes.” Black Holes, Wormholes, and Time Machines. Boca Raton, FL: Taylor & Francis, 2012. 135-38. Google Books. Web. 30 June 2014. <http://books.google.com/books?id=v__ukMwx4IwC&printsec=frontcover&dq=black+holes,+wormholes+and+time+machines&hl=en&sa=X&ei=Ll2zU9HcHNCKqAb_3oHgDw&ved=0CCQQ6AEwAQ#v=onepage&q=black%20holes%2C%20wormholes%20and%20time%20machines&f=false&gt;. Clark, Jeff. “Contact.” Library Journal 110.20 (1985): 128. Academic Search Premier. Web. 1 July 2014. Dominik, M., and J. C. Zarnecki. “The Detection of Extra-terrestrial Life and the Consequences for Science and Society.” Philosophical Transactions of the Royal Society A: Mathematical, Physical and Engineering Sciences 369.1936 (2011): 499-507. Highwire Press Royal Society. Web. 28 June 2014. <http://rsta.royalsocietypublishing.org/content/369/1936/499&gt;. Elbers, Astrid. “The Establishment of the New Field of Radio Astronomy in the Post-War Netherlands: A Search for Allies and Funding.” Centaurus 54.4 (2012): 265-85. Web. 26 June 2014. Jones, Barry O. Dictionary of World Biography. Melbourne, VIC: Information Australia, 1994. Print. Lindley, David. “The Birth of Wormholes.” Focus 15 (2005). American Physical Society. Web. 30 June 2014. <http://physics.aps.org/story/v15/st11&gt;. Overbye, Dennis. “Please Call Earth. We Still Haven’t Found You.” The New York Times 2 Mar. 2008: WK4. ProQuest Historical Newspapers. Web. 29 June 2014. <http://search.proquest.com/docview/897744707?accountid=12964&gt;. Sagan, Carl, and Tom Head. Conversations with Carl Sagan. Jackson: U of Mississippi, 2006. Google Books. Web. 29 June 2014. <http://books.google.com/books?id=gJ1rDj2nR3EC&pg=PA51&dq=carl+sagan+extraterrestrial+life&hl=en&sa=X&ei=RTezU92FCoySqAbgkYD4CQ&ved=0CCQQ6AEwAQ#v=onepage&q=carl%20sagan%20extraterrestrial%20life&f=false&gt;. Sagan, Carl. Contact: A Novel. New York: Simon and Schuster, 1985. Print. Smith, Robert W. “Collaboration, Competition, and the Early History of Radio Astronomy.” Metascience (2014) 23 (2013). Ebscohost. Web. 28 June 2014. Spangenburg, Ray, and Diane Moser. Carl Sagan: A Biography. Westport, CT: Greenwood Pub. Group, 2004. Print. Terzian, Yervant, and Elizabeth M. Bilson. Carl Sagan’s Universe. Cambridge, U.K.: Cambridge UP, 1997. Print. Yount, Lisa. Modern Astronomy: Expanding the Universe. New York: Chelsea House, 2006. Print. The book, Contact, by Carl Sagan was published in 1985. The main idea of this science fiction novel is centered on the contact between humanity and other life forms in the universe. I chose to read this book because the study of space greatly intrigues me and the idea that there could be other forms of life elsewhere is a topic I consider to be interesting. 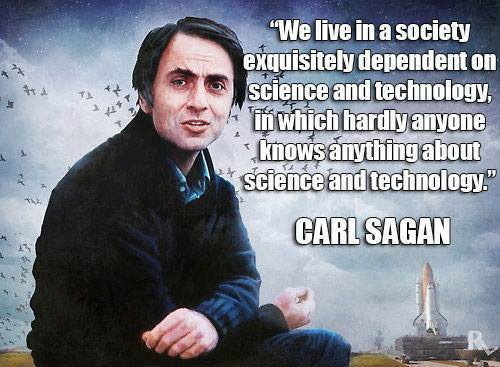 Carl Sagan is a man that will be remembered in many aspects of the science community forever. Sagan was born on November 9, 1934 in Brooklyn, New York. Sagan’s parents greatly contributed to the growth of his passion for astronomy. At the age of 16, Sagan graduated high school and continued his education when he decided to attend the University of Chicago in 1951. He eventually obtained a Ph.D. in astronomy and astrophysics and accepted the job as assistant professor at Harvard College. 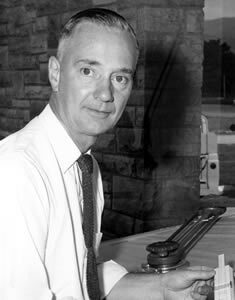 In 1968, he began his career at Cornell University where he maintained his position as David Duncan Professor of Astronomy and Space Sciences until his death in 1996. Sagan was devoted to his research and relentlessly worked to achieve great and unimaginable things. He is responsible for the discovery of the modern idea of planet Venus’s atmosphere. 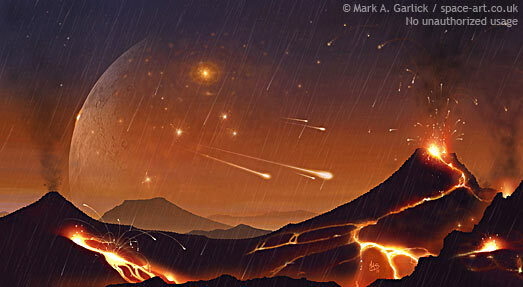 He also believed that wind-blown dust was the cause of the seasonal changes that are exhibited at the surface of the planet Mars. This was later confirmed by the Mariner 9 and Viking spacecraft. 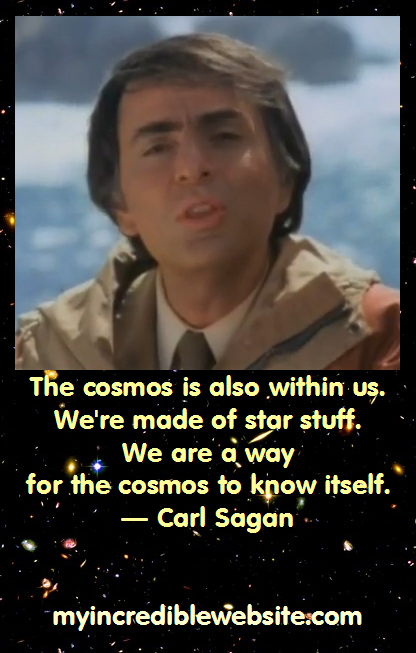 Sagan worked closely with NASA to advance our understanding of the universe. He was asked to help with the mission of the Viking, Voyager 1, Voyager 2, and many other spacecraft missions. Sagan also helped Frank Drake to come up with the famous Drake equation that estimates how many planets in the universe are capable of sustaining life. On top of his numerous contributions to the scientific community through research, Sagan also donated valuable works of literature to the world, even winning the Pulitzer Prize for general nonfiction in 1978 for his book The Dragons of Eden. One of his last works of literature, Contact, was transformed into a motion picture in August of 1997, just a year after his death. The novel focuses on the life of the main character, Eleanor “Ellie” Arroway, and her deep interest in the search for extraterrestrial life. Following her passion, she begins to work on the “Argus Project” in New Mexico. This project’s goal is to monitor outer space for any signs or radio frequencies signaling extraterrestrial life. In order to accomplish this, radio astronomers like Ellie herself, use over 100 radio telescopes and their ability to detect radio waves. One day while monitoring the star system, Vega, 26 light years away, Ellie receives a signal that is transformed into a message consisting of a series of prime numbers. A second message is later received displaying a video of the first radio waves transmitted from Earth into space. After closer analysis, an underlying encryption is found. The blue prints of some sort of machine are unveiled after the code was deciphered. After much turmoil, Ellie and five others travel through a wormhole to the star system, Vega where Ellie encounters a life form disguised as her deceased father. The life form gives Ellie some valuable information about space and time. Once the crew returns to Earth, they are accused of conspiracy. In the end, Ellie begins to research pi due to information given to her when she traveled to Vega. Different forms of science and space study are present throughout the book. These include radio astronomy, the search for extraterrestrial life, and wormholes. The story mainly focuses on the use of these sciences. The discovery and technological advances of radio astronomy by Karl Janksy and Grote Reber led to the discovery of pulsars, quasars, and other important advances in astronomy. Sagan’s discovery of Venus’s atmosphere was in part due to the use of radio astronomy to detect the radio emissions of the planet’s atmosphere. In the 1960s, the search for extraterrestrial life became popular. The creation of the Drake equation, which Sagan contributed to, gave the possibility for planets to sustain life. Wormholes are an idea brought to light by Albert Einstein and Nathen Rosen when they were attempting to eliminate Schwarzschild singularities. This theory is also known as the Einstein-Rosen bridge. Sadly, there has been no evidence to prove or disprove the existence of such a phenomenon. Sagan used these ideas to present the story of Eleanor Arroway while at the same time showing the world his beliefs relating to science. His goal was to illustrate the wonders in the world of science. He wanted the world to see the reason for his great passion in the world of science and astronomy. This is an article I found on the Whewell’s Ghost Carnival blog. It is a list of ten early inventions that eventually led to modern day technology. I found it interesting because some of the inventions and ideas listed are far beyond the time in which they were thought of. For example, we might think that Facetime or Skype were inventions that came along with the cell phone or computer. However, Bell Labs developed a Picturephone that debuted at the 1964 World’s Fair. It astonishes me to think about how much time and dedication it would take to create something like this. After six years of intense research and testing of the Manhattan Project, the world experienced the first and only use of nuclear weapons during wartime. 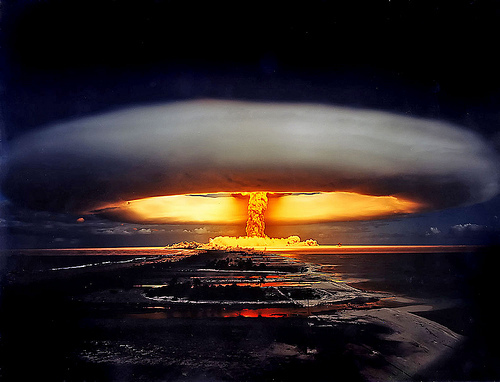 On August 6, 1945, a bomb made of uranium demolished Hiroshima. 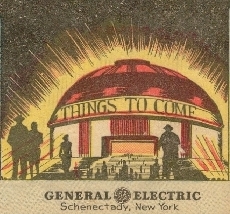 Three years later, General Comics, Inc. produced the comic Adventures Inside the Atom. The comic begins by taking us back 2,000 years to ancient Greece. The ancient Greeks were uncovering the ideas of atoms and elements,which at the time sounded absurd to everyone else.After many attempts to try to make gold from other elements, John Dalton finally suggested, “Gold is itself a basic element… The atoms of each element are different from the atoms of all other elements” (Adventures). After this discovery, the atom became more interesting to scientists wanting to look “inside the atom.” This led to Niels Bohr’s theory that electrons orbit around a nucleus. 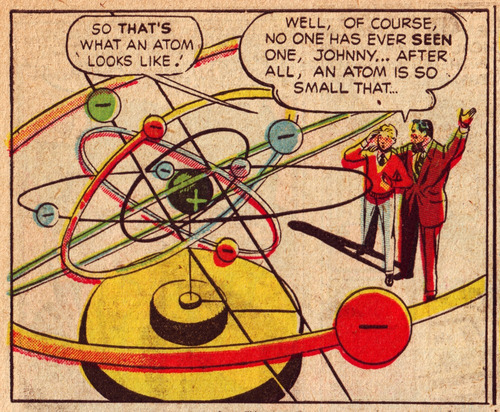 In the comic, everyone is mesmerized by the fact that an atom could be so tiny and the nucleus of that atom must be even smaller. As Ed and Johnny continue through the science exhibit, Ed explains the concepts of protons, atomic numbers, neutrons, and stable and radioactive elements. Ed continues to explain how scientists were finally able to change elements into other elements and even make new elements using a cyclotron. Ed then states, “But the greatest wonders were yet to come! The scientists who were plastering and chipping atoms were getting closer and closer to the energy locked in the atom nucleus” (Adventures). The sun’s energy amazed scientists during the 40s and 50s, fueling the research behind the atom bomb. Albert Einstein made important contributions to the production of the atomic bomb. In 1939, Einstein wrote a letter to President Roosevelt to “warn him that the Nazis were working on a new and powerful weapon: and atomic bomb” (American Museum of Natural History). The comic continues by detailing Albert Einstein’s theory that matter can be destroyed with energy being created in its place. Many people laughed at this theory, but some believed this theory and began testing to try to prove it. Ed explains that scientists soon discovered that only one type of Uranium atom splits. The common Uranium atom weighs 238, but the Uranium atom that splits weighs only 235 and contains 3 less neutrons. Even with this, usable energy was not produced. Usable energy was only produced by setting up a chain reaction where one U235 split, releasing a neutron that will split two more. However, in order to do so, enough pure U235 must be separated from U238. This caused many problems because they are both the same element. The president of the United States assembled a team of industrial workers, scientists, security, and business leaders along with all the resources necessary in order to “build a tremendous new industrial city to separate U235 from its chemical twin, U238.” After describing the assembly of the factory, Johnny is shocked that all that effort was used just to make a bomb. Ed defends the use of the atom bomb by stating, “To end the war quickly no effort was too great, Johnny” (Adventures). The comic attempts to show how good the atomic bomb was and how it was necessary to the war. On page 14 of the comic, Ed shares the safety measures that are taken by laboratories and production plants to keep everyone working there safe. The last couple pages of the comic describe the generation of atomic power. In these pages, Ed speaks about future plans whereas in previous pages, he spoke in the past tense about things and discoveries that had already occurred. Johnny then begins dreaming of all kinds of new ways to use atomic power like atomic rockets. Ed stops Johnny and describes some more “realistic” uses of atomic power. These examples include, “make new forms of plant life, use radioactive tracers to help cure disease, change elements and create new ones, perhaps power big ships and submarines, and probably generate tremendous electric power” (Adventures). The idea is to generate enough power for everyone in the world to have it. The comic ends with Ed telling Johnny how great the future will be and Johnny believing that he now understands the use of the atom a lot better than before. I found the fact that this comic was written three years after the atom bomb had been used at Hiroshima to be interesting. It was almost as if they were trying to convince the people that the use of the atom to generate the atom bomb was good. By correlating the use of the atom to produce atomic energy, it was almost as if the publishers were trying to compare the two. For example, the use of atomic power will provide all of these wonderful effects, like everyone having power, and the atom bomb will be used as a base for how the atomic power will be produced. The comic displays many scientific discoveries that “supposedly” led to the Manhattan Project. I believe the comic’s main goal was to boost positive opinions of the atomic bomb while at the same time generating hope for the future use of the atom. This is an article I found on the “Giant’s Shoulders” blog. It was an article that described a type of weapon that the United States government considered using against the Japanese in World War II. The weapon described was a bomb filled with over 800 bats and each bat had a small incendiary device attached to it. The idea was that the bomb would be released and the bats would scatter to nest in various areas. The incendiary devices would detonate sometime later causing multiple fires across a large area. A considerable amount of money was invested in the project. However, it was eventually given up on because it became evident that the Manhattan Project, which led to the creation of the atomic bomb, would be completed first.